I just discovered this girl. 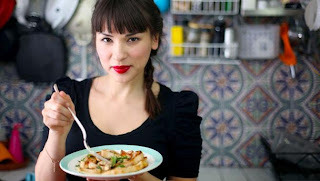 Her cooking show, The Little Paris Kitchen, is cute with down-to-earth concept. The girl cooks in the tiniest kitchen in pretty, whimsical, retro dresses (apparently her own style). She often wears deep red lipstick and black eyeliner. I'm not sure about the cooking but the French names in the menu sound very romantic. Her presence is interesting enough to draw audience. She's beginning to warm up to me. I was curious with her surname and decided to google. Guess what... she has Malaysian heritage from her father! She claims growing up eating all sorts of food including rendang. 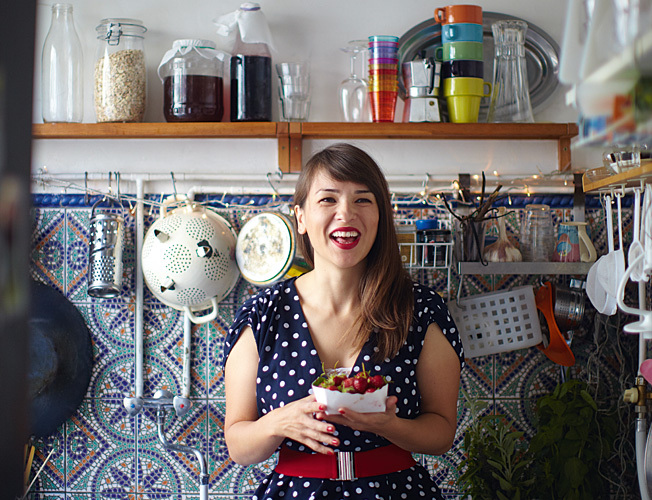 So move over Nigella... welcome Rachel!